Mexican environmental authorities said they would fine a wildlife company for the deaths of 124 crocodiles that it failed to protect during a lengthy transfer from the northwestern state of Sinaloa to the Yucatan Peninsula. The Profepa environmental protection agency said in a statement Wednesday that Cocodrilos Exoticos de Quintana Roo, a company based in Chetumal, that southeastern state's capital, would be fined as much as $193,957. 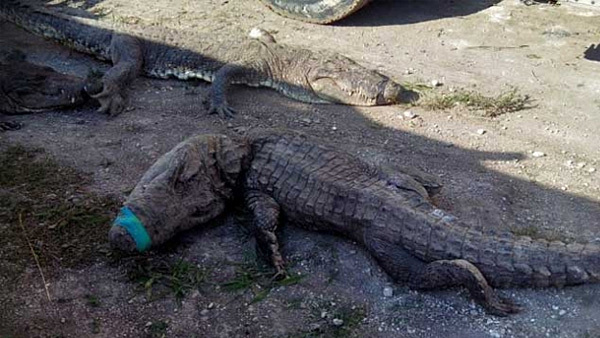 The agency said that during an inspection of the Cocodrilia wildlife conservation facility in Chetumal it observed that 350 Morelet's crocodiles from a reptile farm in the northwestern city of Culiacan, Sinaloa's capital, had been offloaded. Of that total, 124 had died due to irregularities in their handling and cross-country transfer.